Live in luxury at Enclave at Highland Ridge. 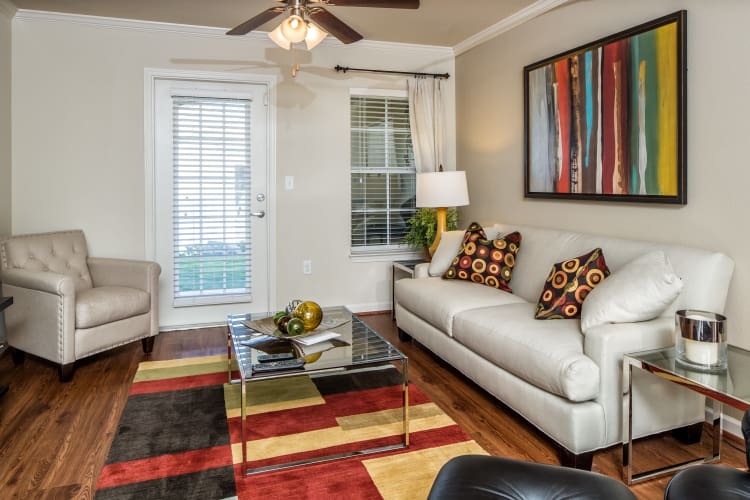 Our one, two, and three bedroom apartments for rent in Columbus, GA, are thoughtfully laid out for our residents to inspire comfort and encourage living outside of the ordinary. Choose a home that best fits your unique lifestyle, with floor plans ranging from 749 square feet to 1,350 square feet. From the breakfast bar to the full-sized washer and dryer, no detail has been left out for you. 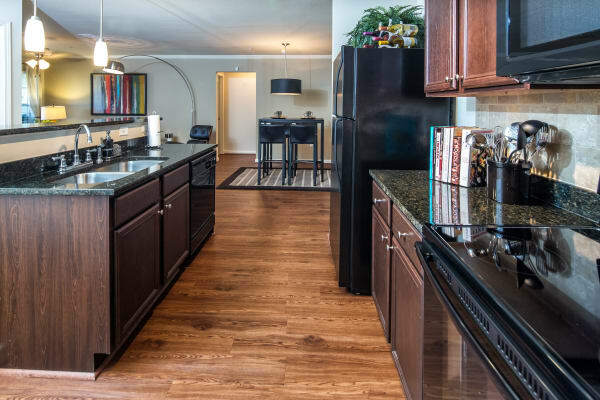 We make it easy for you to call Enclave at Highland Ridge home. As soon as you set foot inside, immediately feel welcomed by warm, hardwood-style flooring and soaring vaulted ceilings. Boutique-style extras like spacious walk-in closets and private patios or balconies blend comfort and convenience. Feel inspired in your gourmet kitchen with espresso custom cabinetry, granite-style countertops, and energy-efficient appliances. When you choose Enclave at Highland Ridge, you are getting much more than a home. You’re getting a lifestyle that embraces Southern luxury and modern-day conveniences. View the Amenities page to see our luxury apartment homes come to life. You can also call our friendly leasing staff to schedule an in-person tour of our luxury homes and community.